Every fall, college football reigns supreme in Knoxville where the University of Tennessee football team, the Tennessee Volunteers, face off with the visiting team while over 100,000 people fill the stadium for a home game and they cheer, scream and watch every move made. This does not only apply at the home game – such dedicated watching includes all televised away games as well, but then we don’t have the stadium cheerleaders, so we have to find our own! Our own private cheerleader for U.T. In an earlier post, “I will give my all …”, I talked about seeing the billboard for the football program that challenges the players to give their “all” to the program. The billboard has the shape of our state in the background and, in the University’s colors of orange and white, the words on the billboard say that we will give our “all for Tennessee today”. The billboard not only has that slogan in print, it also has a giant hand coming up from the foliage under the sign as if to touch the sign as an imaginary player passes beneath, a subtle reference (for those who know the history) to the sign on the player’s locker room wall that says the same thing and which, according to tradition, each player touches as they run through the T into the football stadium. That pretty much sums up “our all” doesn’t it … heart, soul and might. Talk about our “all” … God is saying that we are to serve Him with our whole being, not to serve Him half-heartedly. Of course, Jesus also reiterated this command as being the first and greatest commandment that we are to follow. Even for us in 2015, this commandment clearly extends to us as believers of our Lord subsequent to his crucifixion and resurrection. He gave His life for us; how can we even think of giving anything less than our “all” to Him? Going back to the billboard about the team giving their “all” to Tennessee football, in the prior post I pondered if I would be willing to have a sign in the front yard saying that I would give my “all” for Jesus, and if that sign would make a difference in my life. That, of course, is taken from Joshua 24:15. 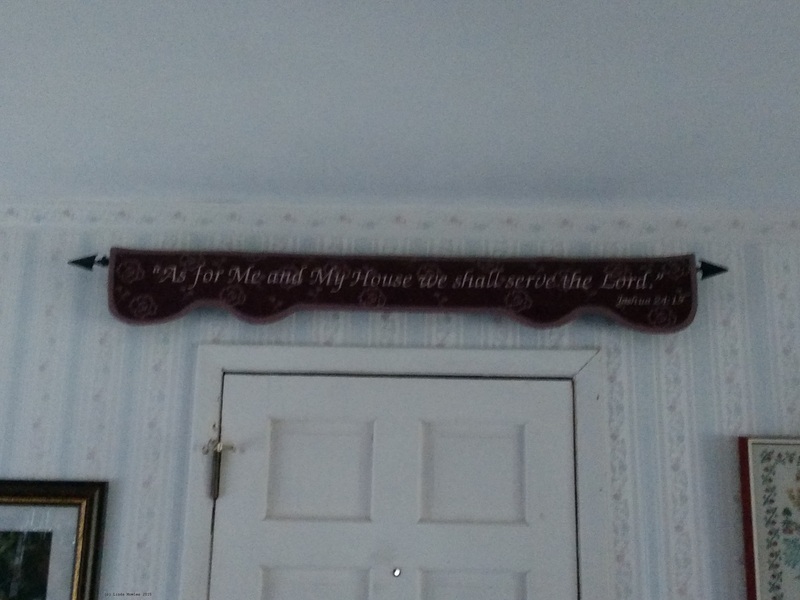 I remember when we bought this banner many years ago; I have always loved that verse in Joshua and this was a beautiful representation of it. And, it encapsulates the commandment in Deuteronomy and the thoughts about obedience and allegiance to God that runs throughout Scripture. I mention this because our banner has been hanging there quite a while, and I am afraid that it has become part of the room décor – sort of a statement of “ambiance” rather than a statement of intent for any of us when we exit the residence. I am not certain that we notice it at any time other than when we have to dust it before company comes over (okay, maybe not even then). In fact, if I were to ask our grandchildren about what the banner across the door said, they probably would have to go to the living room to read it, even though it has been there for years and they pass under it each time they exit the house. I wonder if each of the Tennessee players think of what that sign says every time they touch it as they go through the passageway into the stadium, or if it is a gesture that gets lost in the excitement of the moment? I wonder if our children and grandchildren think of the lessons learned in our home when they are outside of our reach? I wonder if the coaches remind the team of the sign’s significant message before they run into the field for the sports conflict of the day? I wonder what would happen if we reminded the children and grandchildren to remember our Lord as they face the world and its challenges when they left the security of our home each day? I wonder if I reflect the message that banner has been expressing so eloquently all these years? Do I serve the Lord? Every day? In all my activities? Whenever I leave the house? Does my family serve Him? Is Jesus Lord and Master of all those in my family? 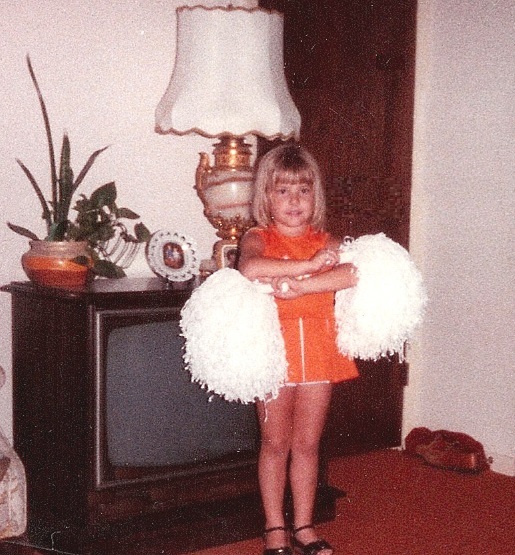 I wonder if my cheerleading for the Lord is as driving and exuberant as the cheerleading for the football team? Do my children and grandchildren know that I am on the Lord’s team? Do the neighbors see an excited exuberance for my Lord or do they see someone who goes about “serving in the church” with a grumble and frown? Father, forgive me when the cares of this world flood my mind and heart so that I am unable to even think about You or my Lord. Forgive me when I am “too busy” to spend time with You in reading your Word. Forgive me when I am so committed to my family, friends, work, entertainment, and even activities at the church, that I don’t take the time to pray or to listen to your Spirit. Help me, today and for all the future todays that You give to me, to give You my “all”. I pray this through the mighty name of Your Son and my Savior, Jesus Christ. < LIVE IN THE SEASON!